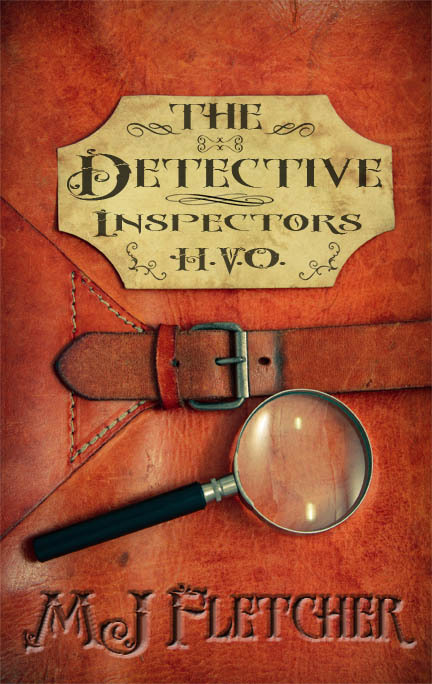 I am pleased to be able to share with you the cover for The Detective Inspectors, which is the fourth book in The Doorknob Society by M.J. Fletcher. Chloe Masters life is in disarray, her best friend Edgar Magnus has been kidnapped by her mother. The Detective Inspectors of the HVO have been compromised and appear to be helping in the crime. All but one that is, Declan Hardcastle, a young DI who is more than willing to help Chloe in her quest. But is he looking for more than just friendship? Her friends are spread far and wide; Jess has begun her apprenticeship in Paris while Slade is working for the Impossible Engineers. Nightshade has returned but is he the same man and can he truly be trusted? When Chloe learns Edgar’s location it's a race against time to stop her mother’s plans and save her friend all while keeping everyone she loves alive. But the question becomes... does Chloe plan on getting out alive? MJ Fletcher is the creator of the comic book series Adam Zero: The Last Man of Earth published by Ronin Studios. he has also had comic book work published in Hope: The Hero Initiative and Digital Webbing Presents. The Doorknob Society Saga is his first book series and he is thrilled with how it has turned out. He lives at the beach with his wife, daughter, dog and a crotchety cat. I love that all the covers have the same feel to them. In each one, I can almost smell the old books, wood polish, papers and leather. I have to say though, that trailer cannot be unseen. lol Now I'm thinking...ABS OF STEEL. Your reviews are great, Sharon - I really have to look up this series, it's not at all what I expected from the titles. Glad you like the covers and the trailer. :) I hope you enjoy the books as well.